Melissa Perri is a Product Manager, UX Designer, and speaker based in New York City. 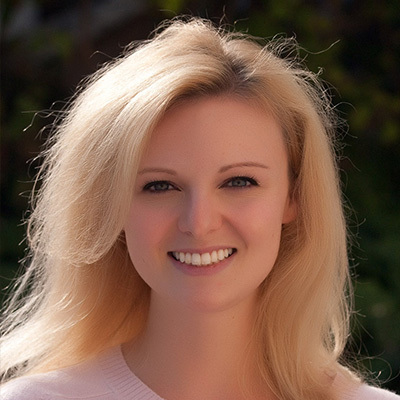 As the CEO of ProdUX Labs, Melissa does strategy and training for product management teams globally. As a practitioner and a coach, Melissa enjoys finding the best processes for her clients while tackling their toughest product problems with the team. This workshop teaches Lean Product Management techniques for UX Designers. As UX Designers, you already understand the customer’s problems. In Lean Product Management, we create business value by coming up with product ideas that solve those problems for users. Working in teams, we’ll understand how product metrics and customer problems can contribute to great product ideas. We’ll work together to create great hypotheses to test these ideas, and learn how to prioritize which to do first. Finally, we’ll finish up by creating product roadmaps that focus on problems rather than features. What are product metrics and what makes a good metric? How do we analyze the business value from customer problems? How do we create hypotheses to test product ideas? How do we prioritize product tests and ideas? How do we formulate a Product Roadmap? Over the past few years there’s been a push in the product development world to “make products that people love”. A great User Experience is now essential to creating a successful product. While many companies focus on having the best design and the greatest experience, they are still missing the most important step in product development - learning about their customers. With Agile and Lean gaining popularity in more companies, we talk about techniques to get things out to users faster. At the core of this has been the Minimum Viable Product. Unfortunately, many people still do not understand the MVP. Some see it as a way to release a product faster. Others are scared of it, viewing it as a way to put broken code on your site and ruin products. The sole purpose of Minimum Viable Product is to learn about your customers. This step that has been so overlooked and yet it is the most essential part to creating a product your customers will love. The more information you can uncover through experimentation, the more certainty there is about building the right thing. In this talk, Melissa will go over how to design the most effective product experimentations and Minimum Viable Products. She’ll explain how to get the rest of the organization on board with this method of testing, and how to incorporate it into overall Product Strategy.